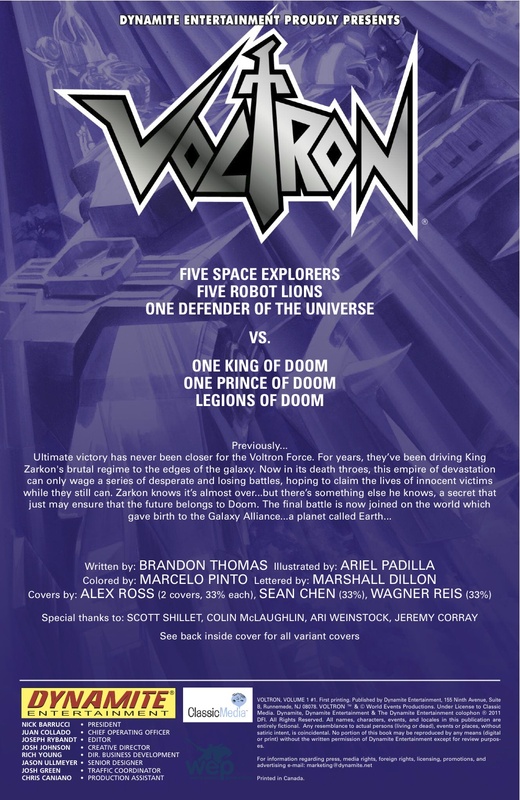 Wanted to do something a little more elaborate with the title pages for the Voltron comic, so I wrote up this little “mission statement” for the entire series to go along with the Previously blurb, and the production people at Dynamite did a fantastic job putting it all together. Just another small attempt to make sure everyone’s on the same page when we get started. #1 hits stores on December 7th, by the way. More soon.